Our company employs more than 78 contracted employees including 60 production workers, 5 domestic sale stuffs, 3 international sales, others for manage, finance, research and development, logistic and after sales, we promise and refuse hire child labor and adopt 8 working hours for every stuffs, also welcome disabled persons employ our relevant station. We have 5 workshops to form a full set of assembly line occupy 20000sqm, which enabled us month production capacity more than 200 tons and 2400 tons year production capacity for thermal screen and sun shading net. All of our products adopt our own and stable production technology, such as high temperature heat treatment insured the surface smooth and no wrinkles, strengthen edge closed enabled net strong enough, newly raw material and imported U.V addictive enabled durable using life, etc. We have occupy 35% China market share till 2013 year for modern greenhouse shading and energy saving use, with our first big overseas order from Iran in 2013 year, we have started to step into international market, our good product’s performance and quality, well reputation, reasonable price have wined customers’ good comments from USA, Germany, Israel, Italy, Australia, Middle east and all over the world. We deeply know quality is the life of one enterprise. We set up a policy of "quality first, customers prior and price reasonable " as our service purpose. We are trying to obtain more trust from massive customers by high quality products and considerate service. We hope to cooperate with more customers for mutual development and benefits. We welcome potential interested buyers to contact and visit us by your time. 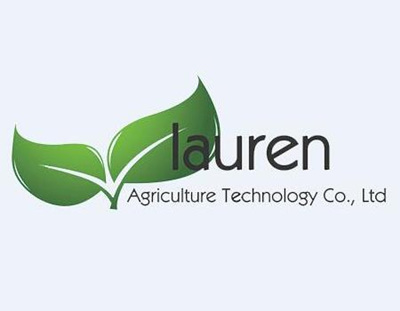 Welcome knowing more about Hebei Lauren Agriculture Technology Co., Ltd.